A cooling tower has been a prevalent part of various industries. These towers act as anti-heat systems that release any additional heat to the atmosphere by bringing down the temperature of the water inside them. Be it, HVAC systems, natural gas engines, cold storages or even the electrical power generation plant; cooling towers have been a relief by easing the cooling job to a great extent. You can easily spot cooling tower suppliers around you who offer cooling tower installments, parts availability, and maintenance services. Wish to know what all they have in their inventory? Read on to find out. This wide category of cooling towers is apt for harsh industrial environments. 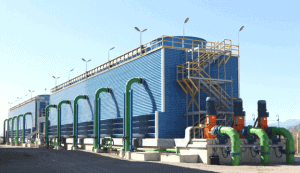 The field erected cooling towers are designed with the help of pultruded FRP sections, FRP sheets deployed for cladding, stainless steel, and other materials. These towers are primarily constructed on site. Field erected cooling towers or FRP can be either counter flow or either cross flow and are customized to suit various industrial needs. An induced cooling tower is the one that has a mounted fan on the top and pulls air all the way through fill media. The fan helps in releasing hot air accumulated in the tower. And, if the tower is cased using the fiberglass reinforced plastic or FRP, it is called FRP induced draft cooling tower. FRP offers corrosion protection, structural strength, making the arrangement even more popular. These cooling towers are extensively used in aerospace, food processing, oil heating, or even automotive industries. These bottle-shaped cooling towers are also made from FRP or fiberglass reinforced plastic. The tower offers resistance to pressure, reduces impurity accumulation, minimal drift loss, and most importantly requires less maintenance. 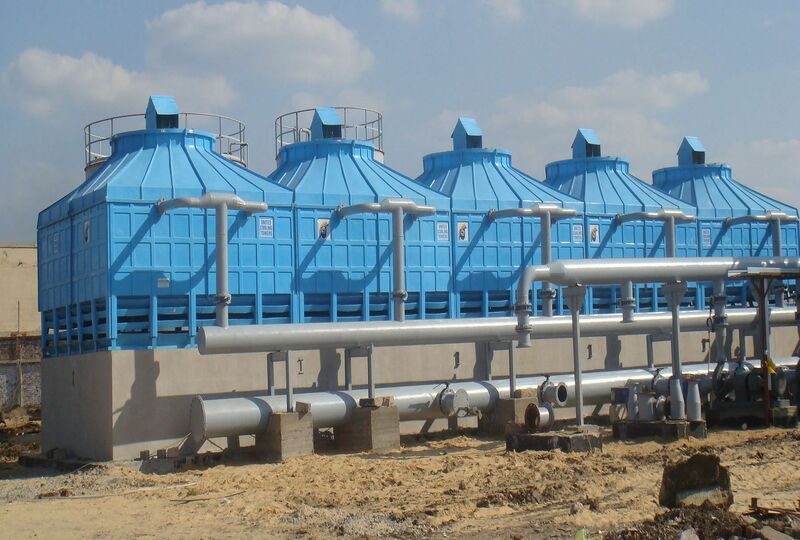 The counterflow technology is inbuilt in FRP round cooling towers and is mostly used in HVAC, pharmaceutical plants, heating furnaces, or even chemical plants. 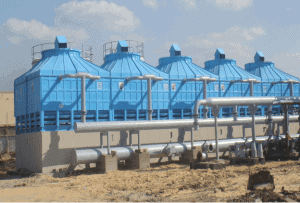 These square or rectangular shaped cooling towers are mostly based on counter flow induced draft technology. These are economical to buy and generally include fixed heads and splash nozzles. These towers are also made from FRP or fiberglass reinforced plastic keeping these towers safe from any kind of corrosions. Square/ rectangular cooling towers are mostly used in HVAC, refrigeration, power generation, plastic processing, or even chemical plants. The natural draft cooling tower or “Iterson” are used for eliminating any heat produced in the industrial processes. It is different from a typical cooling tower as it does not have a fan included in it. A natural draft is used in place of a fan for eliminating the excess heat in the system. 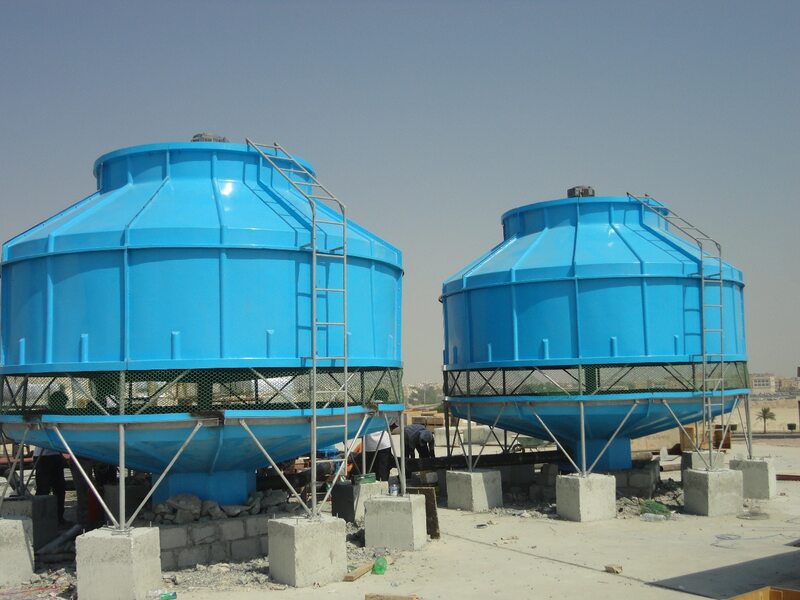 These are also FEP or field erected cooling towers as all the customizations are done on the construction site itself. Natural draft cooling towers are used in petrochemical, metallurgy, chemical or even the energy industries. These were some common types of cooling towers that are popular in the market. If you have a requirement of cooling towers too, look for cooling tower exporters who not only help you assemble one but also provide servicing facility. This, in turn, would help you earn the intended profits with the least of efforts involved.